If there were any illusions, Manchester United now know how far they must travel under Ole Gunnar Solskjaer. The gulf that exists between them, and the elite of the European game. 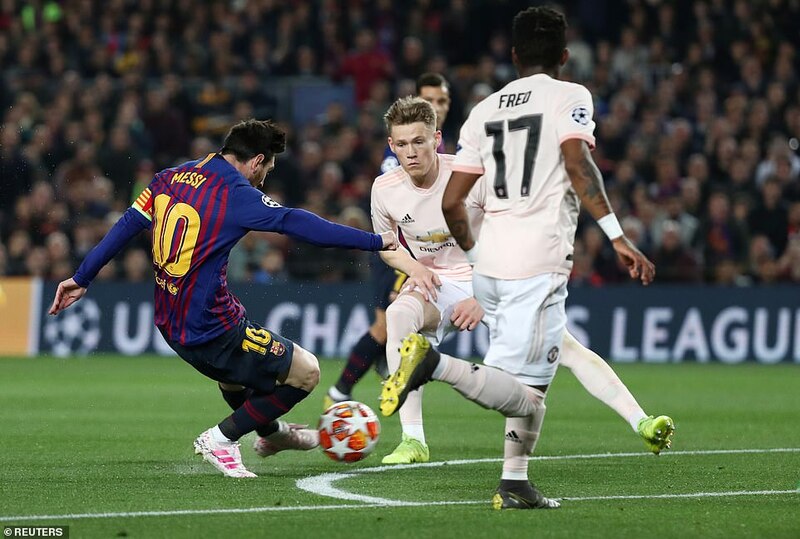 A panicked opening two minutes aside, this was as comfortable as the scoreline suggests, the game never in doubt after 20 minutes when a horrible mistake by David de Gea gifted Lionel Messi his second goal of the night. By the end, the weakness in this United group had been heartlessly exposed: not just those who might be felt lightweight in this company, but those who believe they belong. For more of Sportsmail’s fantastic MATCH ZONE feature, please click here. 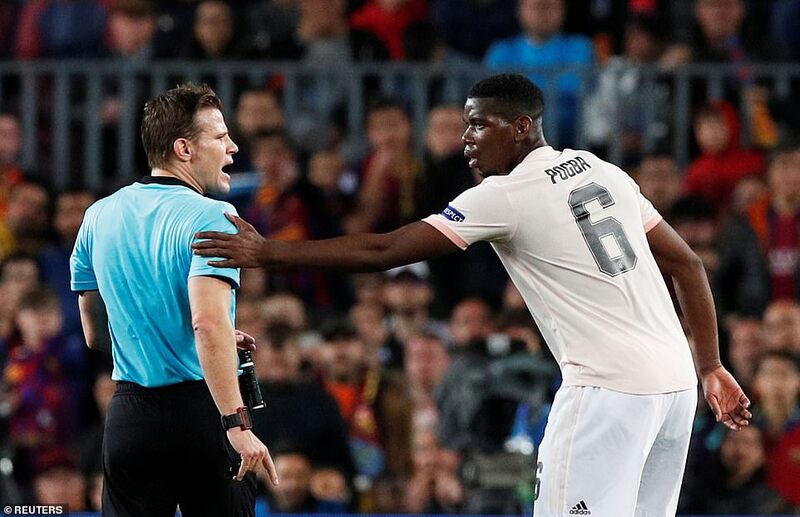 Errors from Ashley Young and Fred led to goals, but if Real Madrid were watching the performance of Paul Pogba they will not have seen a player who looks capable of wrestling domestic superiority from Barcelona. He was overrun, without influence and on one occasion desperately self-indulgent. Yet he is far from the only problem. When Alexis Sanchez came on to a warm reception with 11 minutes to go, it was a reminder. The player that United broke the bank to recruit is in essence a Barcelona cast-off. Those that are good enough to make it at Nou Camp will not be leaving for Old Trafford any time soon. 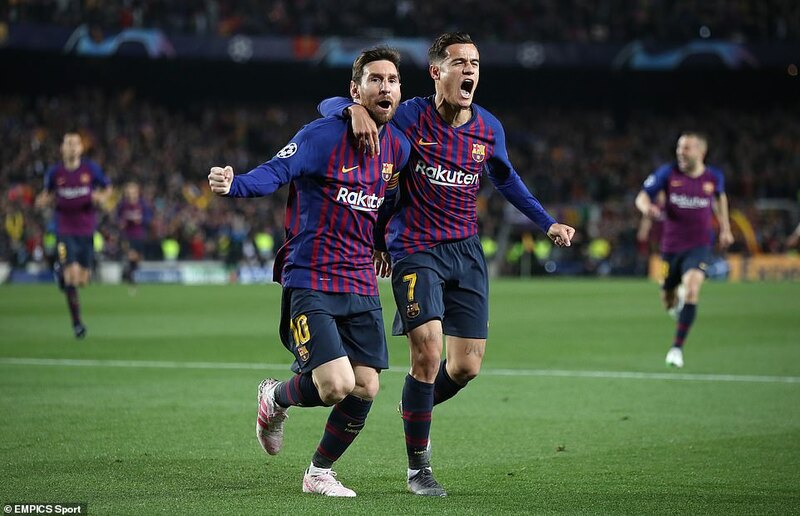 Barcelona is the home of the best in a way Manchester United has not been for some time now. And that showed. 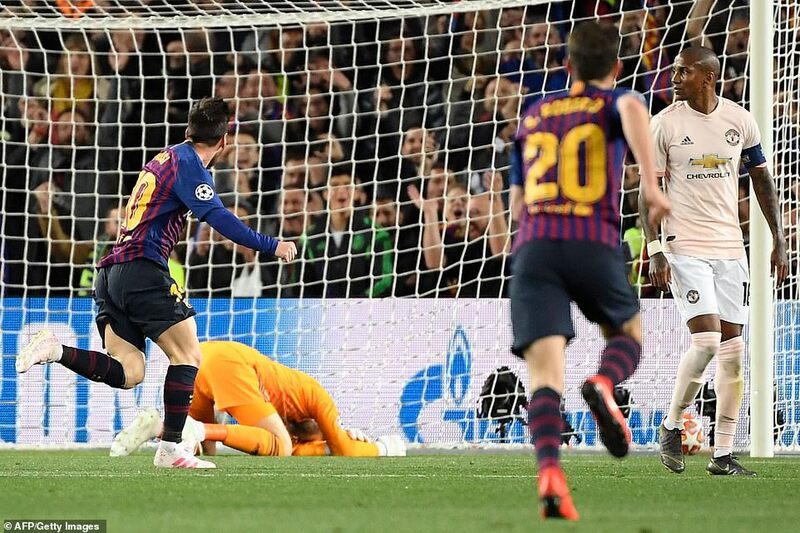 Messi had not scored at the quarter-final stage of this competition since April 2013 against Paris Saint-Germain – although he has had 50 shots in the interim – but he made up for it here. As for Philippe Coutinho, any thoughts that he may regret his move from Liverpool, were overwhelmingly countered. His goal gave the scoreline the emphasis it deserved. 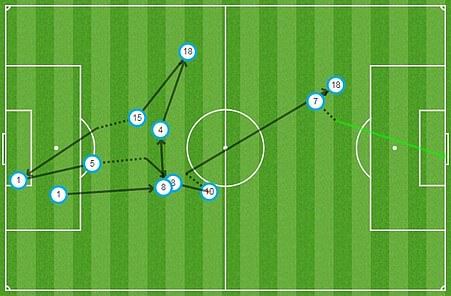 Messi played a long crossfield ball from deep in his own half to Jordi Alba, who found Coutinho on the overlap inside. He cut towards the centre once more and struck a delightful curving shot, high and over the reach of De Gea. 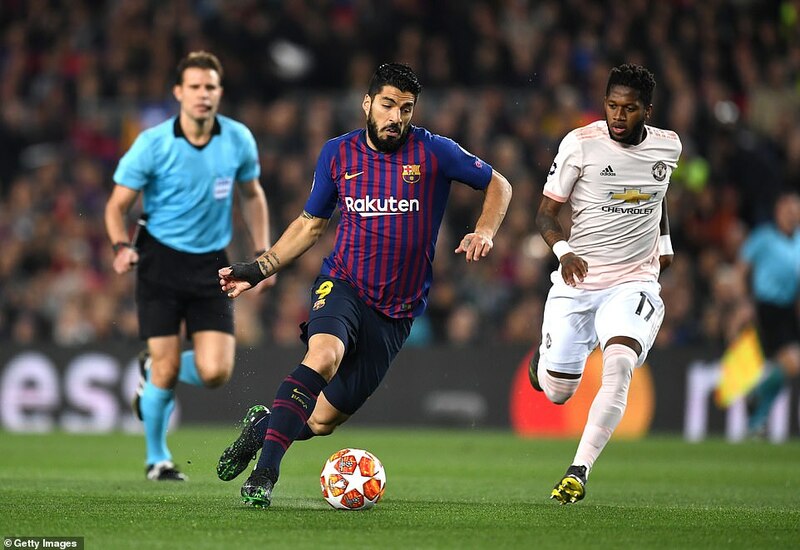 If Barcelona were disappointing at Old Trafford, this win and the 4-0 aggregate outcome are a reminder of the standards they continue to set. Standards that United can only dream of reaching right now. 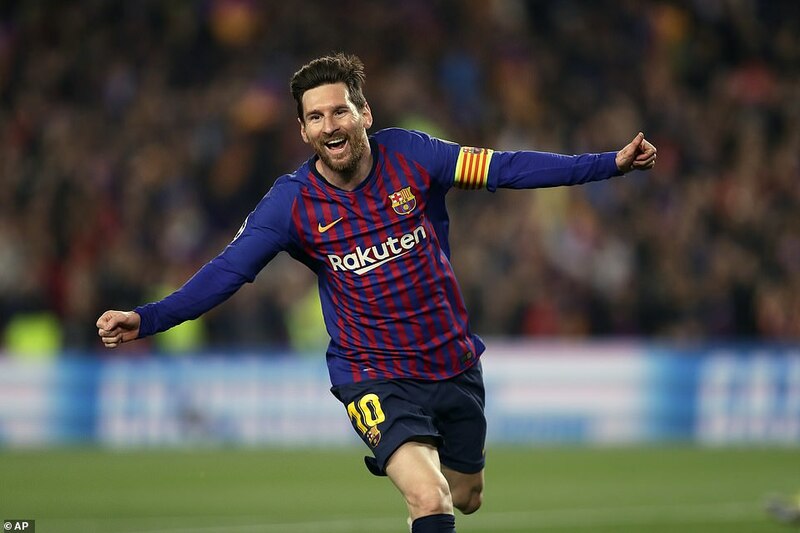 They have a cult figure as manager, a grand history, and a growing mythology that links the two, but what they miss is the quality setting Barcelona apart. Ole may be at the wheel, but he’s not steering a high performance vehicle. The idea this could be United’s year, as it was for Chelsea and their unlikely steward, Roberto Di Matteo, in 2012, was quickly dispelled. Bottom line: they couldn’t live with Barcelona after a sprightly first two minutes. In that period United took their hosts by surprise, hit the bar and fumbled a second good opportunity. Had either of those chances gone in, who knows? Yet if there is one thing we know about visiting Barcelona: take your chances because they are going to take theirs. Well, enough of them, anyway. 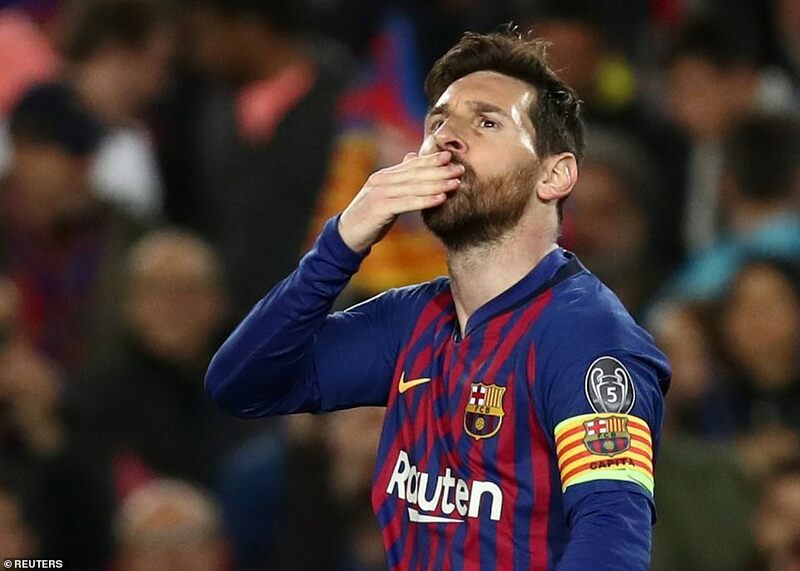 Let’s face it, if Barcelona took every chance that came their way they would have goal difference measured in the hundreds each season. 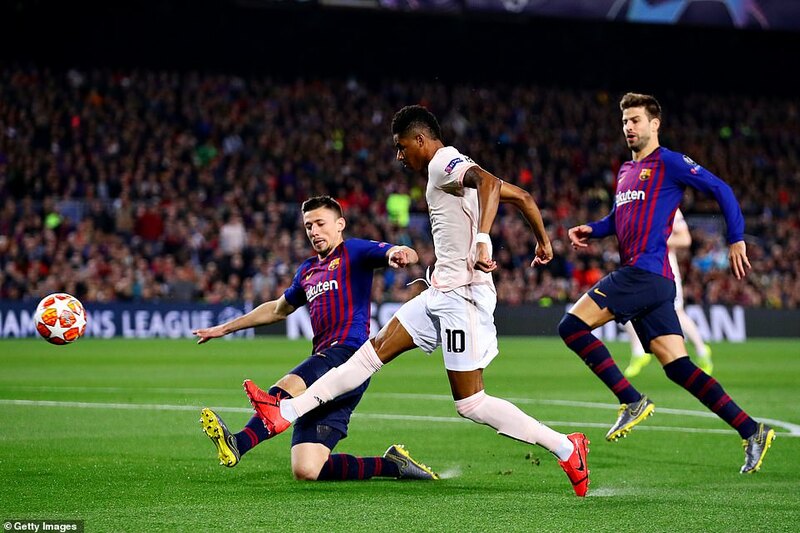 So when Marcus Rashford broke through after just 35 seconds and, instead of a firm low finish, chipped and clipped the bar of Marc-Andre ter Stegen, there were immediate thoughts it could be a pivotal moment. 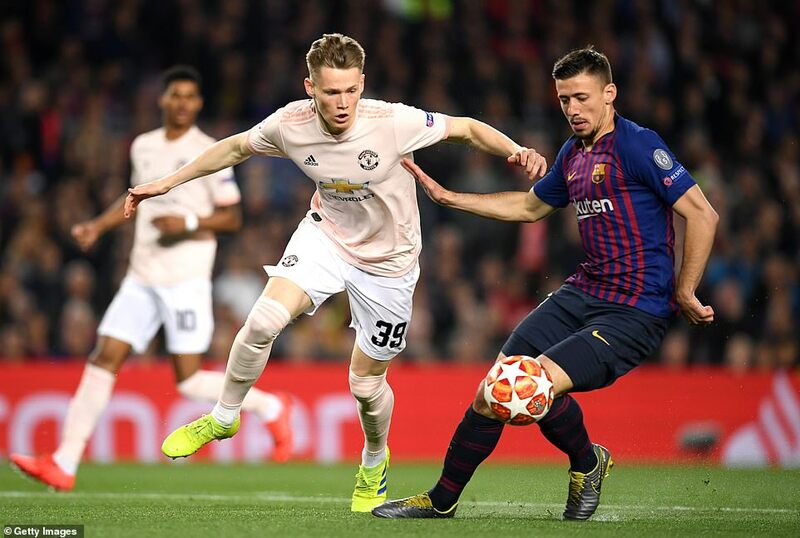 So too the pass that found Scott McTominay in a ridiculous amount of space immediately after. The ball got trapped under his feet and the danger passed; and with it the hopes of Manchester United. 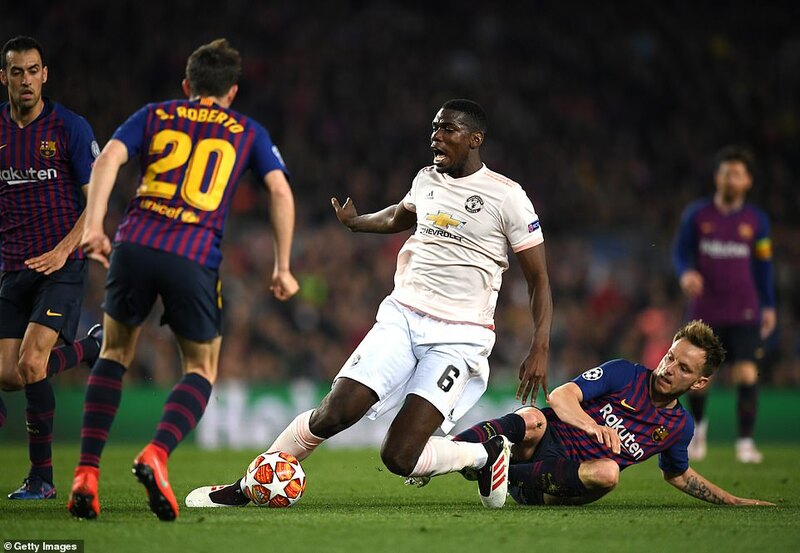 When Barcelona first scored United could content themselves with the knowledge the mission hadn’t changed: they still needed to score twice to progress, as at the start. The second, however, was a killer. 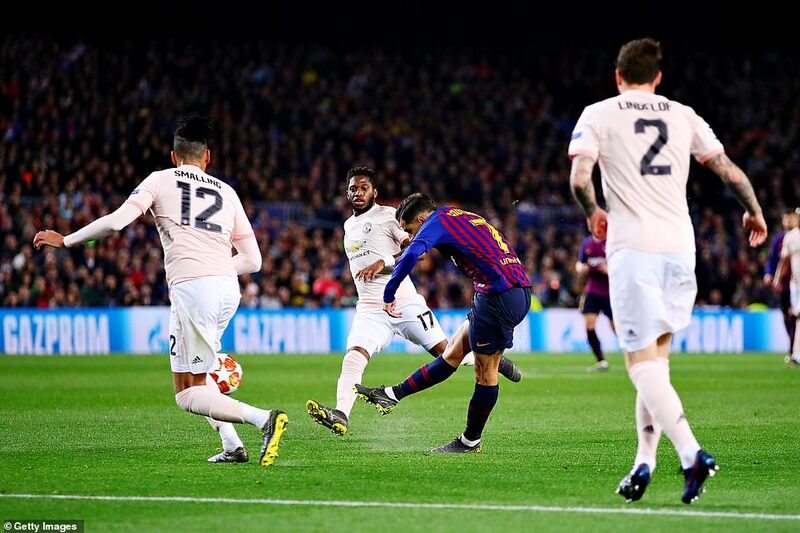 Now United needed three in Nou Camp, against a team that had not surrendered a first leg lead at home in European competition since succumbing to Metz in the 1984-85 European Cup-Winners Cup. And there was nothing beyond that first two minutes that suggested United had surprise in them. It wasn’t just the errors that lead to the goals that highlighted the difference. In the ninth minute, United had the glimmer of a break on. The ball fell to Pogba in the vicinity of the centre circle: and he shot at goal. Would a Barcelona player have tried such a stunning piece of self-indulgence? 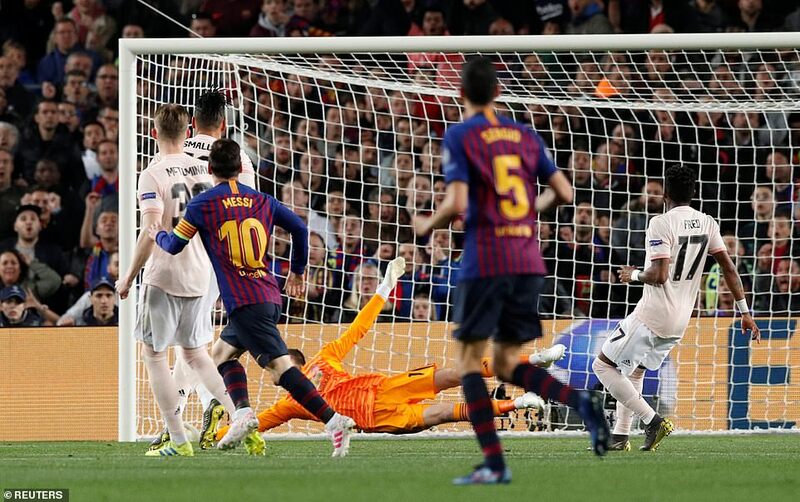 The ball flew high and harmless, over the bar, ter Stegen’s recovery never in doubt. 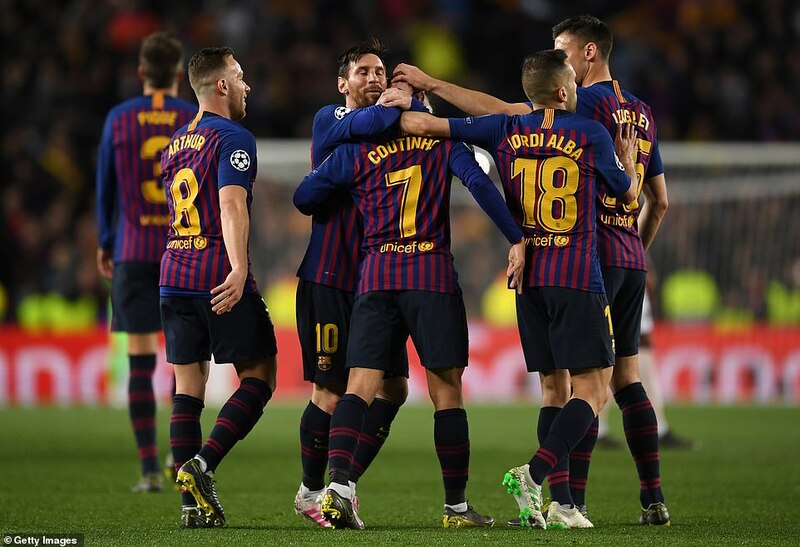 It wasn’t the action of a player thinking of his team – and Barcelona are, first and foremost, a team. A very, very good team. With one quite extraordinary individual, obviously. Yet Messi never plays as if the event is about him, even if his genius often makes it so. He does not go it alone, if a team-mate is better placed, he doesn’t always occupy position A. And yet, operating as a deep lying forward, he is averaging better than a goal a game this season. Incredible. 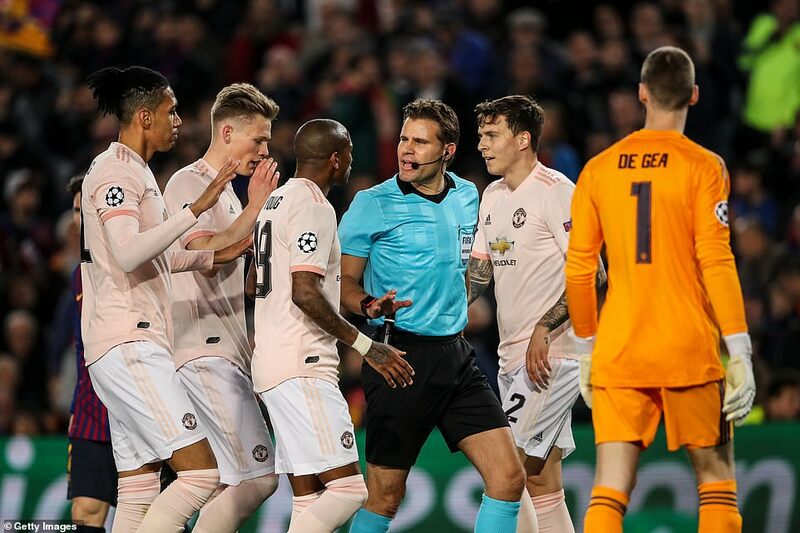 First, before the Messi show, United had to survive a penalty call. 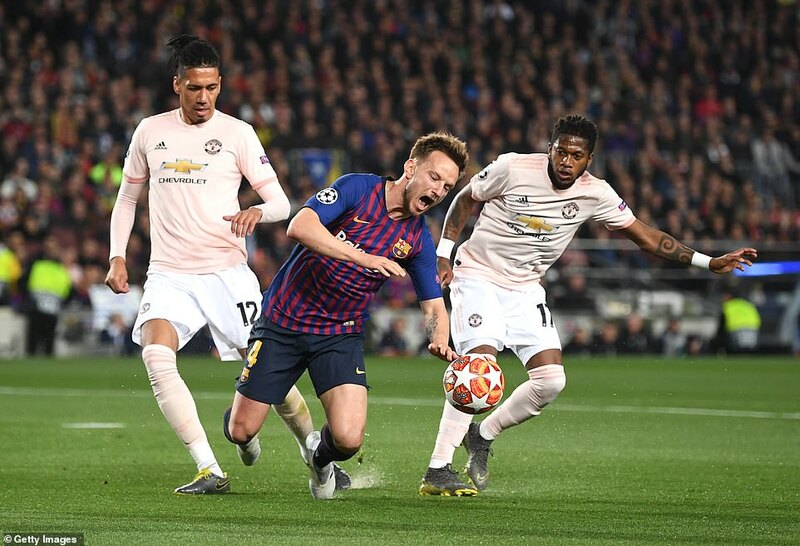 Fred got a foot in, and in doing so sent Ivan Rakitic rolling, rolling, rolling, like a ball on a downward slope at Augusta National but with less assistance from gravity. 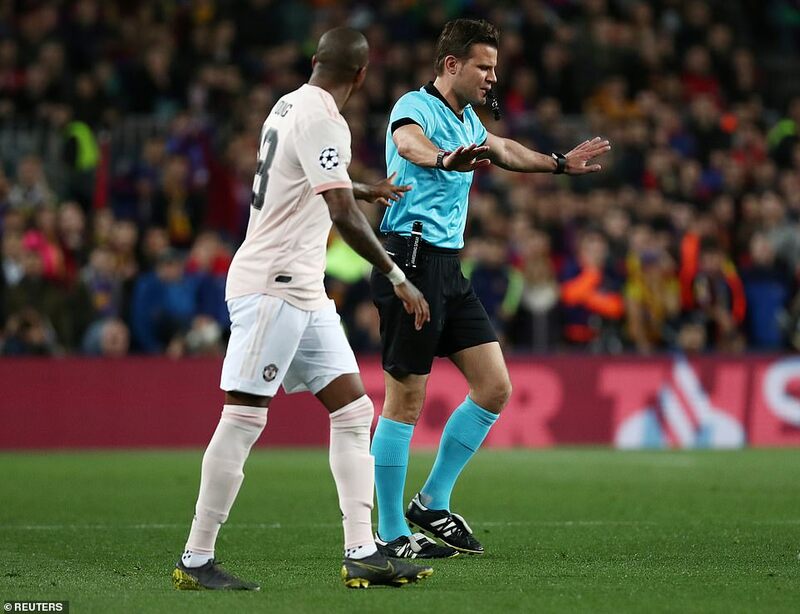 By the time the Croatian came to rest referee Felix Brych was pointing to the spot. 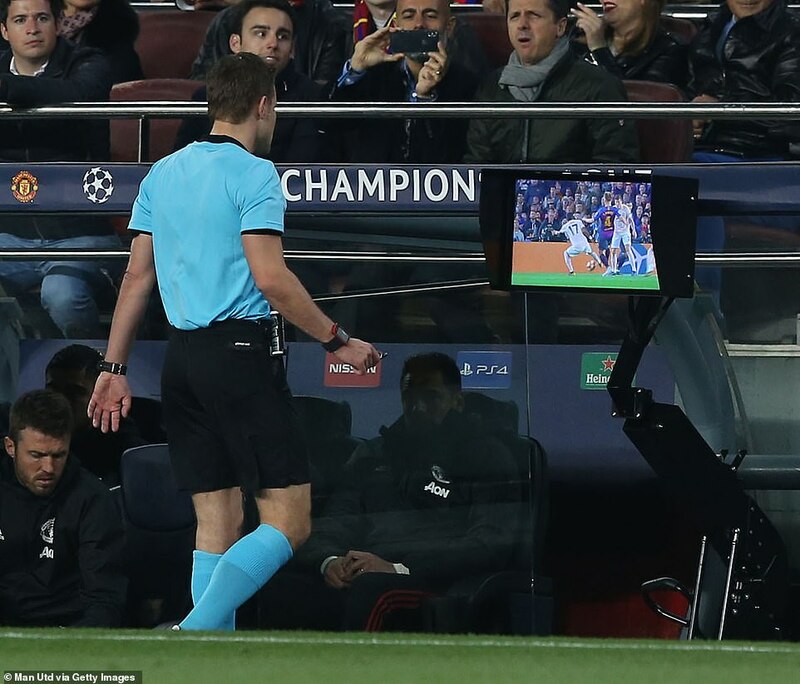 At which point VAR did its thing and Brych trotted over to see confirmation of his judgement. And a good thing he did. In the first replays the tackle looked good, in the second it looked like a foul, but a close up of Fred’s foot as he made his challenge showed he won the ball. No penalty. Justice done. Not that it mattered; within ten minutes United were 2-0 down. 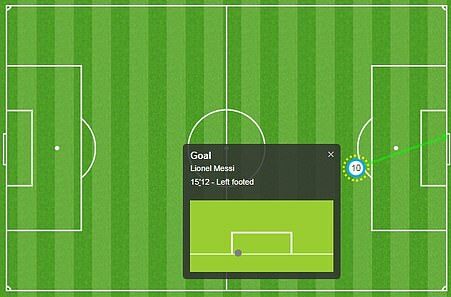 The first goal started with Young getting in a tangle that served up the ball to Messi. The pair had shaken hands as captains before the game and one can only hope Young made the most of that gentle moment. His other engagements with the player were more fraught, to say the least. 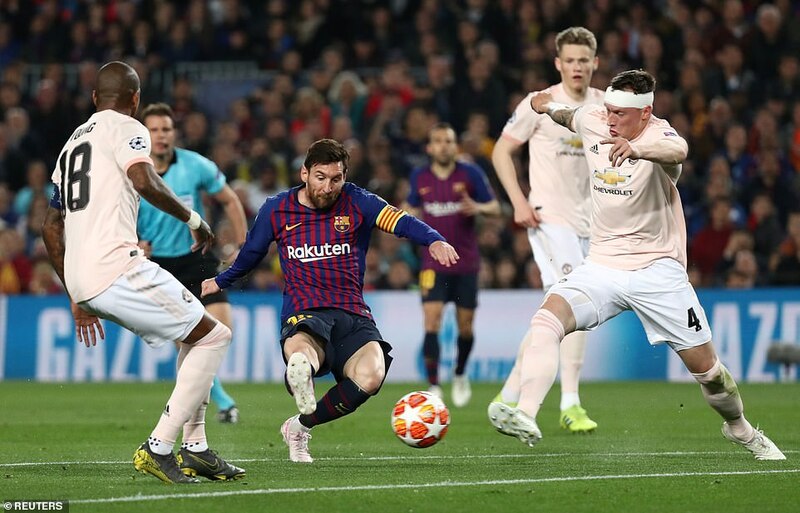 Messi beat Fred and glided past Phil Jones who, with his white plaster headband appeared to come pre-injured, probably to save time. He shaped to shoot and Chris Smalling put his arms behind his back to guard against handball. 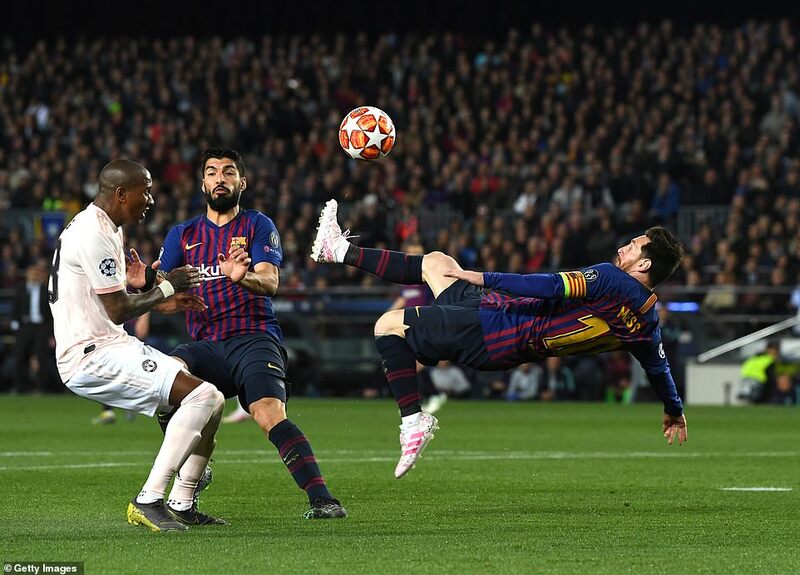 He needn’t have bothered; Messi doesn’t hit it near enough to obstacles for this to be a problem. 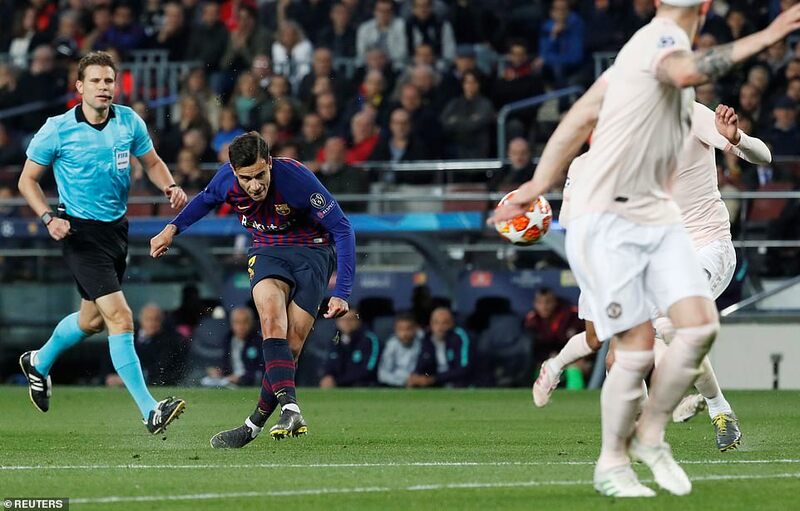 He curled it sweetly out of De Gea’s reach. There was nothing the finest goalkeeper in the English game could do. Sadly, the same could not be said of his second goal. The blame lies with De Gea but, for United, problems began when Fred attempted a Cruyff turn perilously close to his own penalty area. Frankly, Cruyff wouldn’t have attempted a Cruyff turn in that position – and he was better at them than Fred. 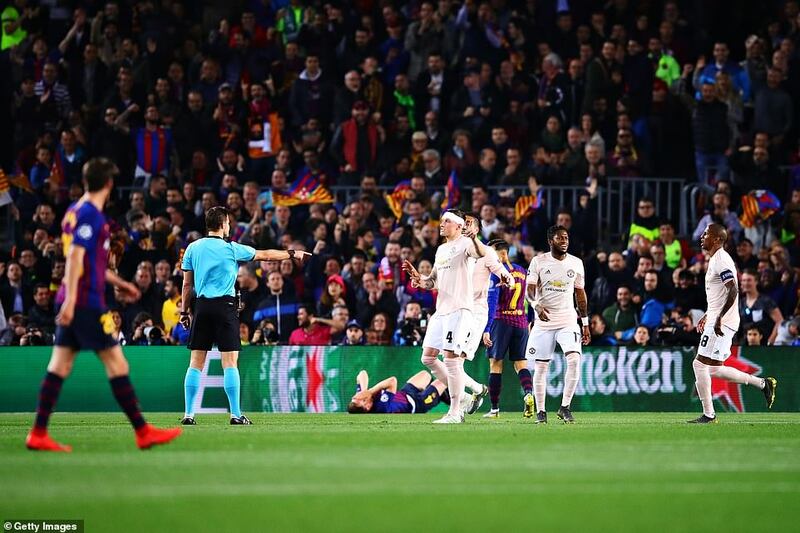 So the ball was lost to Messi, who again left Jones in a metaphorical tapas bar downtown and hit the ball low. 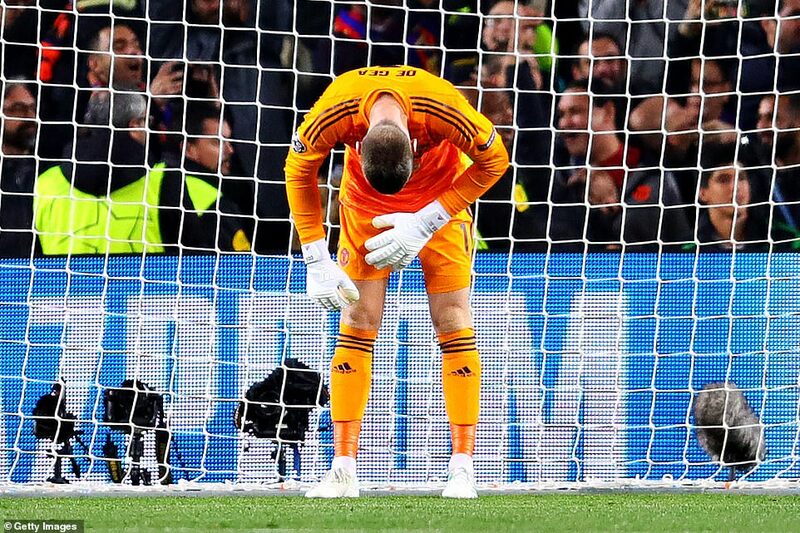 It wasn’t his finest effort and should have been easily stopped but the often infallible De Gea made arguably his biggest error since his first season in English football. His weakness then was crosses and the physicality of the English game, but no such excuses here. This was a simple shot and the ball squirmed horribly underneath his body. 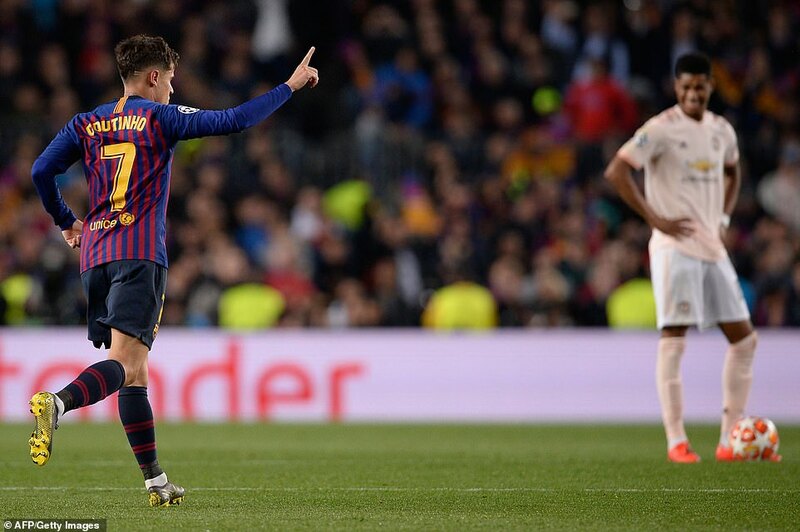 He reappeared after half-time to find Barcelona’s fans bowing down in mock admiration. It was a sobering night all round.